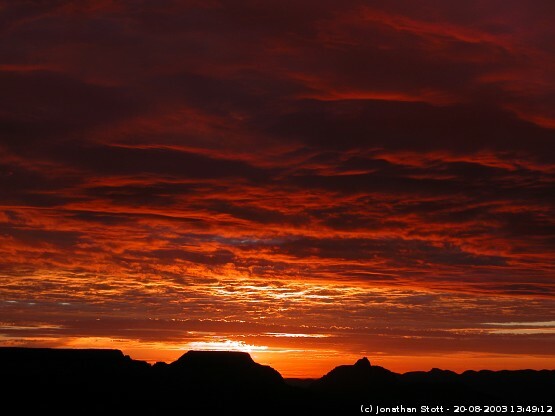 One of the most spectacular sunrises I have ever seen was at the Grand Canyon during the summer of 2003. There had been a lot of thunderstorms the day before and we weren't expecting much, but there was just enough of a gap in the clouds on the horizon for the sun to shine through. The photo is taken from the South Rim of the Canyon with the North Rim in silhouette.